Quotes Book application contains set of quotes that are associated with different familiar personalities. 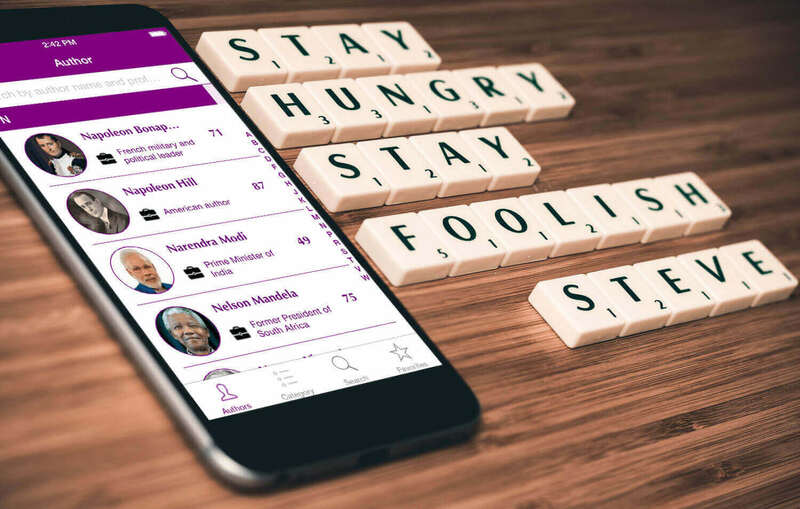 Being simple to handle, you only have to choose your favorite author and segment, and thus a list of quotes will be visible on your mobile screen. Quotes book App display authors photo and details, so you can easily identify them. Also app have various searching options:by author or by category. You can then choose quotes as per your preference and share them with your friends. This app operates with iPad and iPhone.